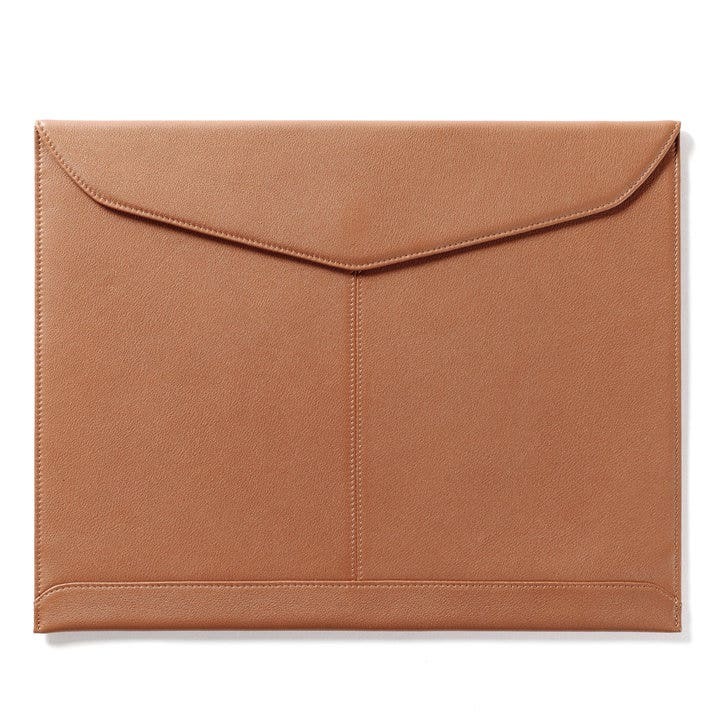 Our Laptop Envelope is made for those who want a more stylish alternative to the standard laptop sleeve. Super thin and lightweight, this envelope is lined with a thin fabric that will minimize the bulk of your laptop when on the move, but still provide enough protection to prevent surface level scratches and scuffs. Simply slide your laptop in and be on your way - our Laptop Envelope will keep your device protected while you take on the day. This is a beautiful product, but it is ridiculously large for the size advertised. Basically unusable with a normal sized briefcase. I’d purchased for business use for my 13.3” MacBook Pro. But this thing is big enough for the 15”, and then some. My laptop “floats” and slides all over, while the edges bend over the body of the laptop. It’s a beautiful product that should NOT be advertised as fitting the 13.3” model MacBook Pro.